I Need Find Best Local Company Contractors That Build Custom Outdoor Kitchens Installs Backyard Living Spaces makes it easy to enjoy a complete indoor experience in your own backyard. When it comes to building an outdoor kitchen you’ll literally have an endless amount of designs and plans available to choose from. Furthermore, you’ll also want to plan which appliances you want, and where they are going to fit into the kitchen. 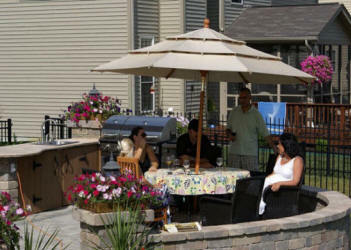 Outdoor Kitchens designs, creates and installs custom outdoor kitchens, pizza ovens and BBQ centers, which reflect the personal taste and lifestyle of today’s homeowner. Every design is carefully considered and unique. 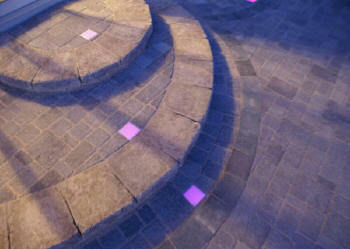 We handle everything from start to finish, from consultation, planning, design review, construction and installation. 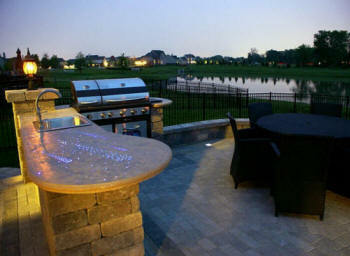 At a very basic level, outdoor kitchens can be comprised of just an outdoor grill. However, to really enjoy entertaining friends and family you should use outdoor kitchen ideas that incorporate factors such as dry and cold storage, functional layout, a food preparation area and of course room for any appliances you need. In addition, a comfortable and relaxing place for dining is important..
Commercial quality double side burner featuring 30,000 BTU's of Cooking Power. 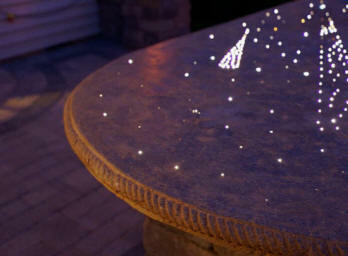 A must have for your Outdoor Kitchen! Heavy-Duty 304 Grade Stainless steel Double Drawer System. Great for storing your BBQ utensils! Stainless steel access door for your outdoor unit. Available in both horizontal and vertical applications. 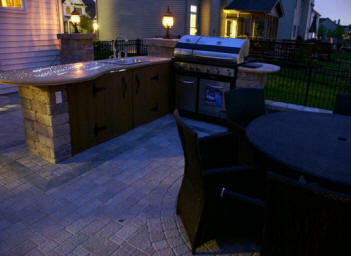 Outdoor Wine Coolers to spice up your outdoor kitchen. This stainless steel sink and European style water faucet adds convenience and functionality to your outdoor kitchen, so clean-up can be done grillside. 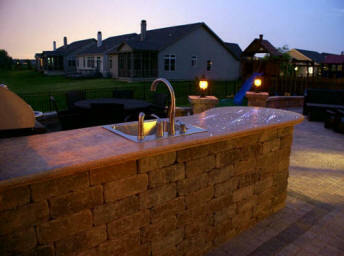 The aesthetics of outdoor kitchens are often what make the area a real focal point. There are plenty of materials that can be used throughout your outdoor kitchen, from outdoor kitchen floor plans to the worktops. 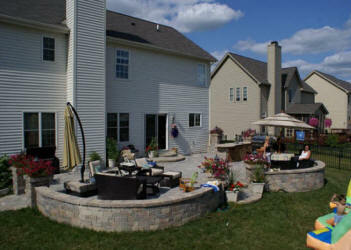 Something that you should certainly consider is the position of your outdoor kitchen though. This will depend on how much direct sunlight you prefer and at what times of the day. Similarly, consider the amount of rainfall you get throughout the year. In both cases, pergolas and gazebos can make for excellent additions for an ultimate outdoor kitchen. 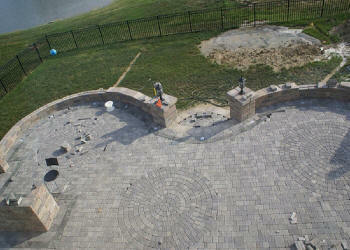 With custom outdoor kitchens you can achieve almost any design idea you desire. 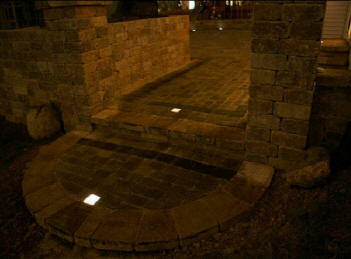 This of course includes the style and materials used, but the latter is something you need to consider very carefully. Certain woods for example may not withstand changing weather conditions, so it’s important you select materials that are durable in such conditions, such as slate, flagstone, cedar and teak. 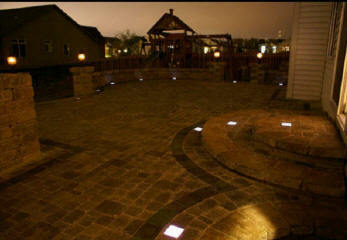 Associated with the outdoor kitchen design are also items that aren’t very appealing to the eye. Things like gas canisters and rubbish bins aren’t something you want to be on view, so all items need to be considered before you go ahead with any particular outdoor kitchen plans. You might also need to think about how your outdoor kitchen will look from within the house, and whether it blocks any sunlight. Unless you’re planning integrating a washing up area in your outdoor kitchen, consider the location in comparison to your indoor kitchen. Outdoor kitchens are great for entertaining but it’s a bit of pain having to carry dishes and cutlery back inside afterwards to wash up. 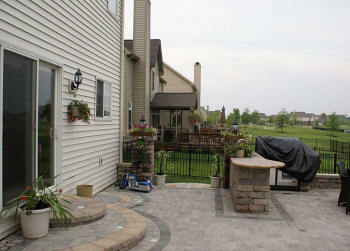 The orientation of your outside kitchen is another important thing that you should consider. 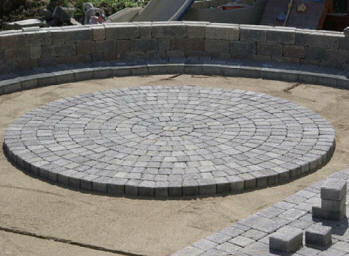 This should be based on a focal point such as a fireplace, swimming pool, or a great view. However, if you don't have any of these features at home, you can make your own focal point through efficient use of your space and proper design planning. Creating a good lounging space is also an important thing to do for your ourdoor kitchen. You can do this by incorporating different seating areas wherever you can. 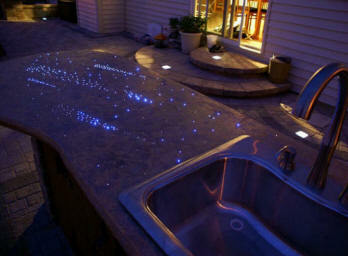 This will be a huge plus for your outdoor kitchen design. You should also see to it that your outside kitchen provides easy access to your indoor kitchen because most of the items that you're going to use for cooking outside the house will be coming from inside your house. Local Outdoor Kitchens Contractors FREE Quote ➨ Local Outdoor Fireplaces Contractors Build Local Outdoor Living Spaces Brick Paver Stone Patio Local Landscaping Cost. 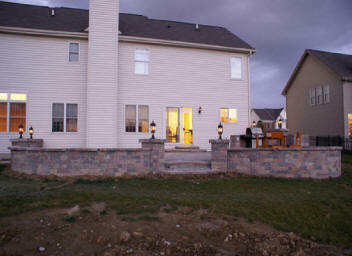 Finally, an outdoor kitchen construction isn’t complete without proper lighting. 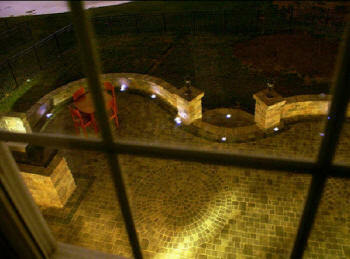 The position and style of lights not only helps with safety but also contributes to the nightlife you can enjoy with family and friends. 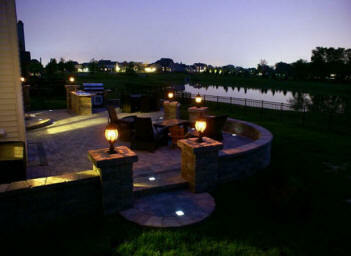 The outdoor kitchen belongs to the list of the hottest new trends in kitchen designs today. Whether this claim has been based on the rising gas prices, economy, or the age demographic of most homeowners is not quite clear. However, what's clear is that the outdoor kitchen is a really hot trend nowadays and is considered as a good thing to invest money on. outdoor kitchen designs that are used nowadays are a lot more sophisticated than simple charcoal grills and patio furniture sets. They often combine a bar and a dining room together through the look and feel that they give out. You need to remember that, not just because the kitchen is situated outside the house, you can already forget about traditional design principles. You still need to apply the same design principles and function is one of the most important things that you need to consider. One of the best designs when it comes to functionality is the kitchen work triangle. A kitchen work triangle has its sink on one tip of the triangle. The center of the cook top or range is located on another tip of the triangle. The refrigerator is also on the other tip. This might be quite impossible or impractical to achieve this in an outdoor setting depending on your focal point, orientation, and the structures that you already have in your space but whatever the type of layout that you choose to go with there are always good ways to make it functional. If you choose to go for an L-shape, long straight line, or a U-shape, you should consider placing workstations in progression ofr your outdoor kitchen in. For instance, you can first place the sink, then your preparation area, then your cooking area adjacent to that. Make sure that you create enough countertop space for preparing and serving. I Need Find Best Local Company Contractors That Build Custom Outdoor Kitchens/Fireplaces Installs Backyard Living Spaces Retreats Cost An Outdoor Kitchen/Fireplace or Living Spaces makes it easy to enjoy a complete indoor experience in your own backyard. 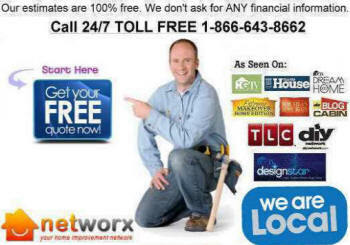 Company That Installs/Build Outdoor Kitchens/Fireplaces Backyard Living Spaces Retreats Contractors Cost.